Roller Beetle Racing is freaking awesome! Just wanted to post a deep thanks for adding Roller Beetle racing to the game! It's truly one of the best racing experiences I've gotten from a video game - in GW2, what?! The physics are there, the learning curve and gradual progression that you expect from spending time trying to master a track is there. And it's just plain fun. The only request that I have is to do away with the "play" button to start the races. A starting line (or circle) with a 3..2..1 countdown at the start of races would just seal the deal on this being one of the best things that Anet has ever released for the game. It also needs a "reset" option on the time trial mode like the griffon adventures have. If I'm trying to get the gold chest and crash into a wall halfway around the course, currently I have to either pointlessly ride out the last minute of the course or F12 out to the character screen and waypoint back. Wouldn't eliminate the frustration but it would help. There is one. Click the x in the top right where the timer is and it'll take you back. I haven't had a chance to play it yet (the update hit sometime after I'd stopped playing last night) but I'm looking forward to it. I'd just started to get the hang of drifting during Halloween but I haven't had many opportunities to practice since, so these races seem like a great opportunity. Yeah it is pretty fun once you get a handle on properly drifting. But now I want Mario Kart beetle courses where we can attack other players during the race. Welcome everyone to the beetle racing community my guild is doing races like these since the release of the mount. We created 50+ tracks all around the world. I'm so happy Anet decided to release something like this. Hope more racing guilds will start to appear. Little suggestion: Add an option for visuals, "Hide everyone" I have enough of lagging and not seeing where I'm going just because everyone is enjoying the same thing at the same time! Can finish Jormag's fang, need 20 more seconds for silver, impossible to have more than bronze with lags. I liked all but Mount maelstrom. Maelstrom is like halloween track where there is really tiny turns and obstacles. Just did a few time trials and an actual race (got interrupted irl so had a late start, but finished 3 laps with 1:20 to spare!) in Gendarran. It's really fun, and I like all the rewards and prices on things at the vendor. Really nice surprise addition to the game! I hope this isn't a one month and done thing. I want a lot of medallions for the guild hall race tracks, although I'm a tad disappointed. I was expecting long sweeping tracks across the entire map on them all, and not tight drifts on corners not really set up for them. There is a reset button. This is something that NEEDS to be added to the Super Adventure Box content. 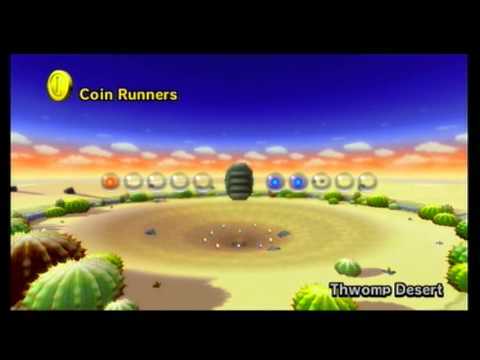 Some sort of coin battle arena like in mario cart would just be freaking awesome. Pretty disappointed with this half-hearted implementation. They should have done it right or not at all. Puting the races in OW maps instead of making it a proper game mode with proper race tracks just emphasises the things many people didn't like about the halloween track. A-Net really is the king of wasted potential. Races are all fine except Brsiban one. Brisban race is hell! Thanks - it's not very obvious but it'll do. I agree Brisban doesn't seem to have been a s well balanced for the medals, although I;d argue Snodwen is the worst. A whole map and they chose to ignore 90% of it for some silly, tight turns which don't work on a roller race. I agree with Randulf on this, Brisbans not to bad, Snowden is..terribly small and the turns are so tight that if your drift action doesnt engage properly you are done unlike the rest of them where you can make one or two mistakes and still get gold. Overall though, well done! It was nightmare in Brisband and these low checkpoints, I was flying above them all the time, but besides that the race is pretty cool. Drifting through narrow caves in Mount of Maelstroom was enjoyable for me too. From a business perspective, this was added to see if it generated enough interest to actually do a full implementation into the core game or relegate to an event for a festival. Because of how black and white people were with the Halloween track (hate it/love it), this is their second attempt on seeing what people wanted in terms of a track (which track gets played the most, which one gets the most complaints, etc). So instead of being a Negative Nancy, be glad they are giving it another poke and not doing a Blizzard 'fun was detected, fun nerfed' approach and we never see this attempted again outside of the festivals. The longer the race, the more forgiving the timer should be imho, which is not true enough in Brisban's case, but I'll have to deal with it and hope to get it in the next days, it's the last one I miss. Like the races a lot but I have three suggestions for adventure mode: instead of the long countdown clock, could we have a large clock at the top of the screen counting up? And it would be even better if you could also provide two or three "checkpoints" during each lap so that it is easier to improve (as you can see where you lose ore gain time on each lap). Finally, after finishing the lap at the moment you get no feedback as to how fast you were unless you did beat your previous fastest time. Could we get that feedback for each lap as well? (I hope all of this isn't an oversight on my part and that stuff has already been provided but I didn't notice). Yeah, Brisbane is too unforgiving for it's lenght. Snowden is doable since it's a very short course(maybe 2 secs more so everyone has a chance to get it). The other ones are pretty easy, you even don't have to drift to get gold. The real issue for me is lags, I can beat whatever record or timer you want if I'm alone doing the race, I think about all the poor players like me, which are at 4 fps during the race, don't seeing what they do, breaking out the turn which make you fail the trial just because 30 other players are trying to finish it in same time. Plz, for any race challenge, make the trial INSTANCED, for the race I don't care, the more we are the funnier it is, but for achievs it's hell. I clearly have no idea if the FPS fall is due to the number of players or another thing, but it only happens near adventure flags. To end on a positive note, I love the tracks especially mount maelstrom. Most races are great. The Brisban Wildlands track is a buggy, frustrating mess though. Is is just me or did thye fix the steering functionality? Stopping has also become a bit easier, no? Thanks for polishing this up, ANet! However, I would like to say that the Mount Maelstrom racing track is awful. Whoever thought a slower pace and tight spaces were an excellent thing for beetle racing: just no. Brisban also has a few bugs too regarding the boost disappearing randomly on the track too, not just visually, also physically as well and randomly. Had the last boost near the flesh reaver disappear on me ruining a great run. Also happened to me halfway through the track too. I threw in a bug report. It's pretty brilliant. It's very nice that they provided a range of difficulties, but I would have liked to see some of the top end challenges be a little more difficult as well . . .
Yeah, they're pretty good. Although I seriously question the Kessex Hills race, it's like they ran out of time on that one. I understood from the announcement, that the kessex hills track is just a practice track. It gives mount rental and requires doing one drift. I think it is good enough for that. Oh. In that case, nevermind. So I've done the Snowden Drift one until I got gold, then tried Brisban for a bit before I realized it's 9 in the morning and my life is in shambles. Took me a bit to figure that out, so it's at least an option. But not the most elegant one. Adding an actual Reset command like HoT adventures have would be ideal. So glad you're having fun! Indeed, the racing is incredibly fun! The tracks, each different and challenging in their own way. And the use of older landscapes for new systems and activites does make them more interesting and fresh. A good excuse to revisit and populate. Time just flew by as I tried to reach gold in each one (and eventually succeded in), or trying to improve upon a previous track record. Speaks for a good implementation, I dare say. I do hope that the timers will remain as they are (and avoid sharing the same fate of the halloween track), since they're not impossible, just difficult; an obstacle to overcome. I'm looking forward for future inter-maps events like that one. Having a lot of fun, agree that Brisban is the hardest one, also becasue it seems to be the longest one with a few tight turns and many long stretches where you can easily hit a stump or some other debis, but I think it is something I can overcome eventually. Gendarren fields was great, very easy learning curve, and enjoy Mt Maelstrom as well. Snowden drifts seems like a challenge, but it is short so it is a very different feel to the others which I can applaud. I tried out the track in the Gendarran Fields and had a lot of fun! I think this is a great idea! Thank you for making the rental affordable too. I will try the other tracks another day though because this tired me a lot... because... the LAG. The lag was AWFUL. Generally speaking, my computer has been having more lag problems ever since the mounts came out. The maps take time to load, the players are often all gray, the floor doesn't load, the enemies are invisible, and I can't preview equipment. After some time, the maps load and it's more or less okay. It usually happens mostly on the HoT and PoF maps, only sometimes in central Tyria. Here... the Gendarran Fields, which is a map I usually have little to no problems with it, turned out awful. ALL THE BEETLES WERE PERFECTLY LOADED, even the ones with fancy effects, but all the players were gray, the enemies invisible, the map loading up around me as I moved (which meant I couldn't recognize my surrounderings until the buildings popped out of thin air). I did the track many times, and ended up frustratingly getting stuck against an invisible centaur catapult, missing turns because I couldn't see in front of me or didn't recognize where I was, throwing myself in the water because the bridge was invisible, and missing turns because suddenly the game would freeze trying to load stuff. I had a lot of fun, because beetle races are amazing and I loved the one in the mad king's realm during Halloween, but here I feel a mix of wanting to throw my computer through the window and laughing because it's so cool to speed over hills and rivers (and I'm excited about the racing goggles and helmets, and the scarfs! New skins are always welcome and I love it when those are rewards you can gain or buy). I'm glad you like it. I personally hate it. I feel like the beetle is the worst implemented mount in the game by a wide margin and its completely unfun to use. Being forced to grind lap after lap with glitchy mechanics and a choppy framerate to unlock something I've wanted since the game has been released is not fun to me in the slightest. With the rental beetle, when you get dismounted (either from being in the water too long or by taking too much damage), is there a way to remount? When this happens to me I end up having to go back to the vendor and saying "hey! I still have time on my mount" and get remounted that way but that can take you totally out of the race. If you're just going for the first scarf I'd say you should just hammer it out and be done with it. I do think that the beetle is the worst mount to use, until you learn how to drift very subtly and only for the amount required and not panic if you make a small mistake then it's one of the best mounts in a game in general. I think it's one of those things that you're pretty sure you wont figure out until all the little actions you've been trying are used instinctively on an attempt and it clicks with you so just take it easy and coast for a bit. I like the beetle race tracks. I didn't like the one from halloween but these are great! I can make my beetle drift as I have the space (lag or not) and can adjust to the responsitivity of my drifts. The mount Maelstrom one I found tricky when the event inside the volcano run, mobs kicked me off mount and killed me). Only the brisban track had 1 checkpoint (corner before finish) that my beetle tended to jump over and thus not registering the checkpoint. The real issue for me is lags, I can beat whatever record or timer you want if I'm alone doing the race, I think about all the poor players like the which are at 4 fps during the race, don't seeing what they do, breaking out the turn which make you fail the trial just because 30 other players are trying to finish it in same time. Plz, for any race challenge, make the trial INSTANCED, for the race I don't care, the more we are the funnier it is, but for achievs it's hell. I clearly have no idea if the FPS fall is due to the number of players or another thing, but it only happens near adventure flags. I feel you man, with all settings on absolutely lowest, I am only getting 10-15 fps, granted I play on a potato laptop. Had a lot of fun but with all the players, npc and events popping up left and right, it's just impossible to go for the time. Got my scarf and logged off. May I be the first one to suggest a Mistlock track with low gravity and vertical loops like Sonic the Hedgehog's? No thanks. We get enough big air time in other tracks. Plus, for the loops, they'd have to program that in and I doubt they have the time to do that. A Mistlock track WITHOUT that, sure thing. I'm all for it, but not sure it'll be a thing unless it's done in the fractals lobby or the PvP lobby instead of Mistlock since not everyone has access to it. I really wish they had made Wayfarer Foothills a race map. There are several spots that give some monster jumps on that map that'll make you gasp. One is coming from the frozen lake going towards the open water lake, you can jump over it and down to the homestead where the bees are. Another is going up the path with the minotaur tracks then jumping off the mountain as you come off the winding path. They could make a course that covers the whole map. I do wish they had taken a different way to do the race events though. I wish there was a race managers NPCs in the cities and on all the lounges that would port you to a racing version of the maps cleared of events and hostile creatures. They could have made the races look more like an event with spectators and course flags, etc. All the open maps in the game take place in a given time period. The race map could reflect how the maps look in the game's current time period. This is the first time in Guild Wars 2 I have felt truly challenged. I got gold on every race today, and it was a lot of fun, I loved how I could feel myself getting better at controlling the beetle as I did each race, culminating with Brisban Wildlands which is the end-game of beetle content, requiring you to fully master the beetle and the course. Also, people LOVE this content, the race areas are jam packed with players, people are socialising over it in map chat, people in my guild are having some friendly competition beating each other's times, etc. It just goes to show that the beetle has now truly earned it's worth in GW2 and is no longer the more useless mount it once was - it is now a fun-generating vehicle. Also, all the tracks are extremely well done, with great visual diversity between all of them. So right now I am gushing over this content and I have to say a huge well done ArenaNet, I hope we see more races like this in future (one thing I'd love is multiple-participant griffon races). Who would've thought an MMO could actually be fun! Thanks again for these positive thoughts and helpful suggestions and input. I've shared with the team in the weekly newsletter.